Have you ever had a hard time in which you simply had no idea about who you wanted to be next? 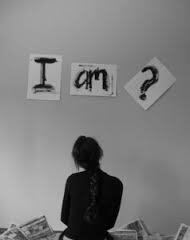 Have you experienced identity crisis? I assume this could have happened when you moved to a new city or town, or after your life changed in some other way, or after you finished school. Suddenly who you thought you were was up for grabs. You had to begin again, to decide who you wanted to be and what you wanted to do and have. You may have found it freeing to be able to create a whole new you. Or maybe you didn’t expect or desire the changes you found yourself in, like after a tough break-up or the loss of a job. An illness may have done it for you, or some other loss. 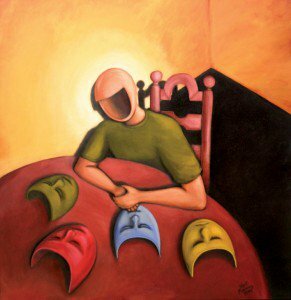 However it happened, creating a new identity for yourself, a new self image, isn’t always the easiest thing to do. To be able to see yourself having your life in a new way, without what was there before, requires courage on your part. Luckily you already have within yourself everything you need to create yourself anew. Some of it may just be dormant, or you aren’t aware of it yet. Believe it or not, you may have even created some of the challenges you’ve run into just so you could wake up to your hidden powers. Clairvoyance is an ability and a power that you already have, whether you know it or not. 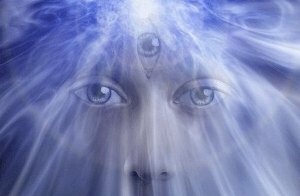 Clairvoyance is the ability to see energy clearly, and also to create an image, a picture. 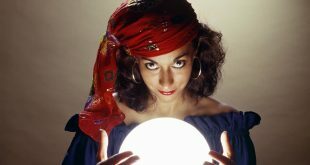 It has nothing to do with fortune telling, though it is true that if you keep telling yourself you cannot have what you want, you are indeed predicting your own future. Clairvoyance is a helpful tool, and a most valuable skill to develop. Would you like to be able to see yourself as you truly are, without judging what you see? How about if you could see your future as you want it to be, and create that for yourself? Wouldn’t you love to have that power? Actually, you already do – you just have to step up and own it. Clairvoyance isn’t about showing off and proving to anyone else how powerful you are. It’s about discovering this truth for yourself, and taking that first courageous step deeper toward getting to really know the most important person in your life – you. Once you do that, everything else is easy.